Please see below some of the machines currently in our showroom or available second hand. Seen a second hand tyre machine and want to know more? Please call now on 01527 883 580 to find out more. Some machines don’t make it onto this page so calling is the best way to find out if there is a deal you’re missing. The PTC420 brings Italian Design and American strength together. A fully automatic tyre changer that takes the stress and effort out of fitting even the largest of tyres. 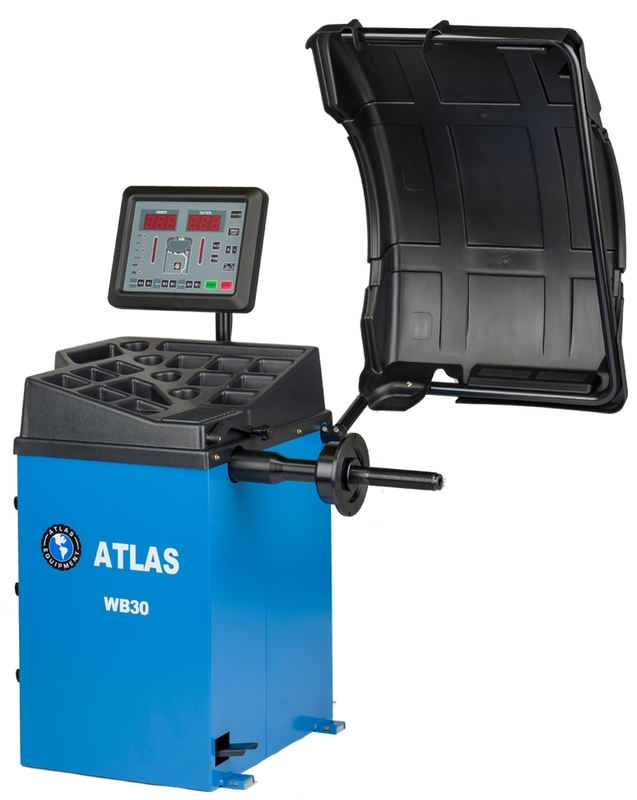 This is an amazing chance to pick up a renowned Atlas Used Wheel Balancer and bring Semi Automatic 2D Balancing into your garage. 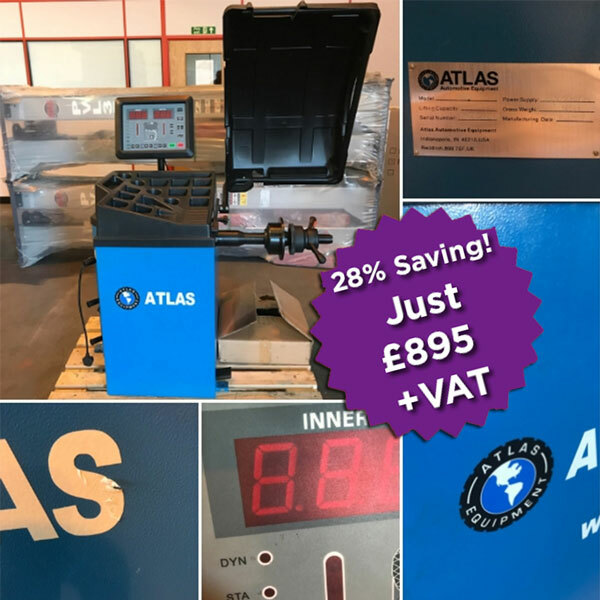 Only showing light signs of use and with no operational issues, this 240V 13 AMP machine offers the same high quality of a new balancer but with a mega discount! Perfect for Daily Use – now with £100 OFF! This WB10 is in perfect operating condition but does have a slightly marked cabinet (caught by forklift). We can reassure you though the damage is only superficial making this machine a steal at £650! Tyre Bay Direct operates a fully working live demonstration room with machines changed every six months. As a result, we have a constant flow of ex-demo machines available for purchase at discount prices. There is also the option to buy second-hand tyre equipment as a result of part exchanges. This is your opportunity to pick up a used tyre machine that is as good as new whilst making a healthy saving. Replacing our showroom machines so frequently means we often don’t have the opportunity to post new offers online. Therefore, a used tyre changer or used wheel balancer may be available and not yet listed below. For this reason, we always recommend calling up to register your interest and requirements so we can best serve your needs. Here at Tyre Bay Direct, we aim to provide a suitable solution for every customers’ needs. 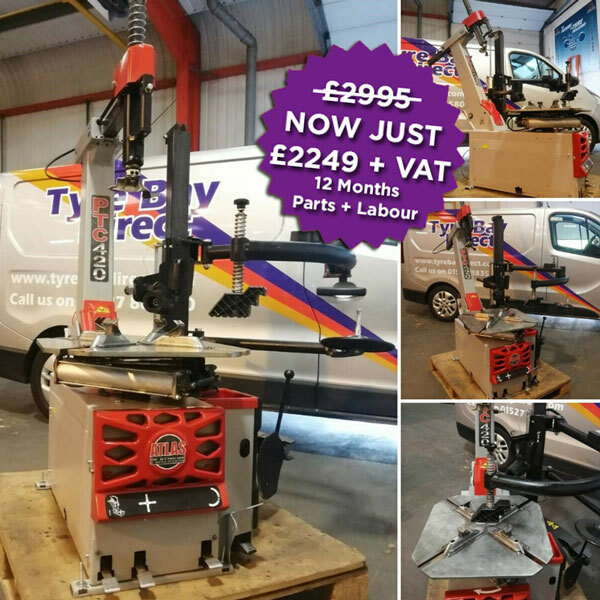 Although we will always do our utmost to provide the best possible deal on brand new tyre equipment, sometimes a second hand or ex demo tyre changer / wheel balancer will better suit your needs and most importantly your budget. 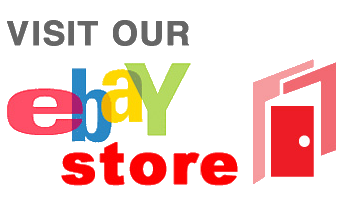 We replace our demo equipment with new machines as standard every 6 months so almost always have some great offers, but even if we don’t currently appear to have anything available above, you can contact us now through the site to register your interest and you will be the first to be informed of when items become available. 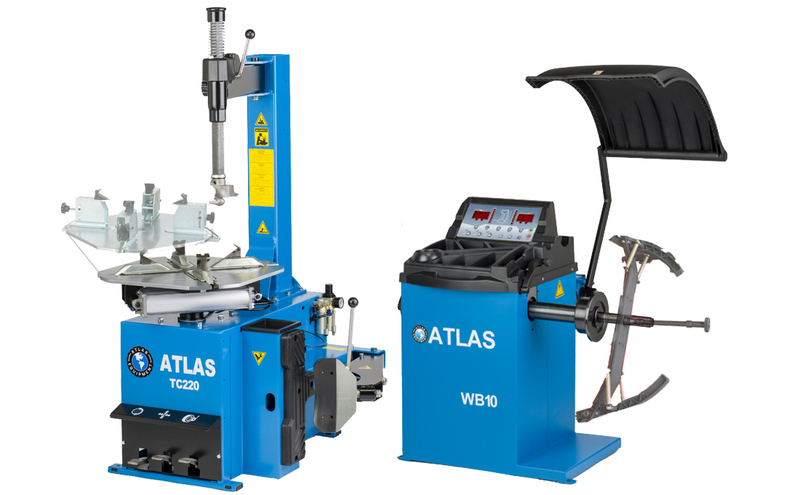 We frequently have used tyre changer machines for sale and second hand wheel balancers for sale on our site. Here at Tyre Bay Direct we quality check all our second hand and Ex Demo machinery before sale. Each machine is checked over by one of our machine build experts. It is then cleaned and serviced ready for delivery. We are also pleased to offer a 3-month warranty as standard on all ex-demo and second hand machines. There is always the opportunity to extend this warranty upon purchase. Just ask the team when placing your order. Call now on 01527 883 580. Why buy ex demo, second hand or used tyre equipment? Starting a new tyre business can be an expensive investment but with the right support from the right company, it doesn’t have to be. 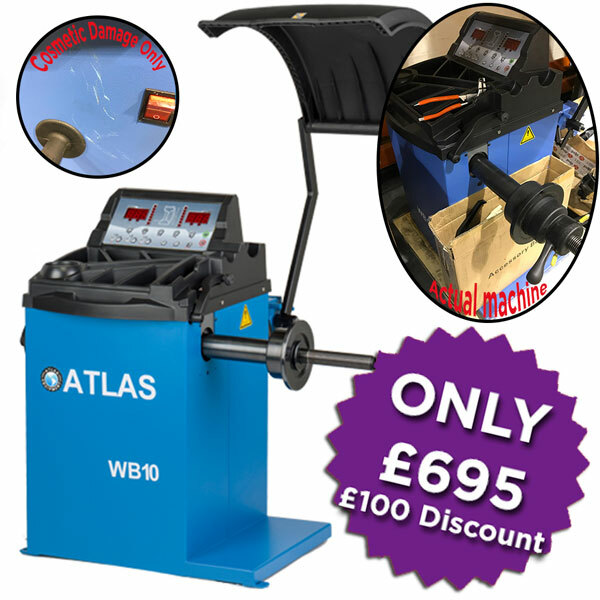 If you are just starting out in the tyre industry or want to expand your current services to include tyre changing and wheel balancing but do not feel confident enough to commit fully to a brand new machine, this may be the perfect solution. 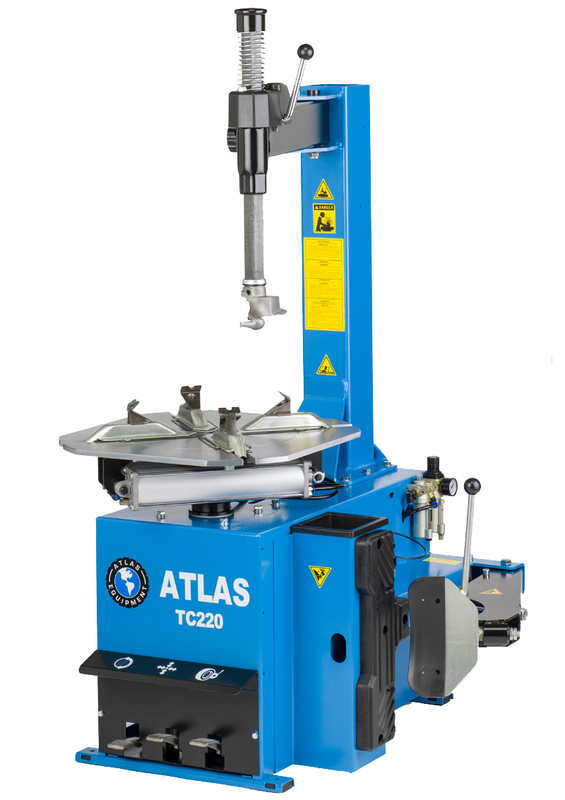 A second hand tyre changer or used wheel balancer does not have to mean cheap quality or compromise. We will never supply a faulty machine, so you can be sure they will be in exceptional working condition. All machines, whether brand new, second hand, ex-demo or a showroom model, are thoroughly tested in-house before dispatch to meet the Tyre Bay Direct teams standards. Where do we get our second hand tyre machines from? Part exchange service: Customers who want to upgrade their current machines for a newer model can trade machine in. Some tyre shops outgrow their tyre equipment quickly, meaning the ex demo tyre changer and/or wheel balancer is in perfect working condition but, for example, they just need a larger turntable or an assisting arm to cope with increased demand. We have their used tyre equipment back and offer them a part exchange deal, leaving their second-hand equipment to be cleaned up, tested, and dispatched to you at an excellent price. 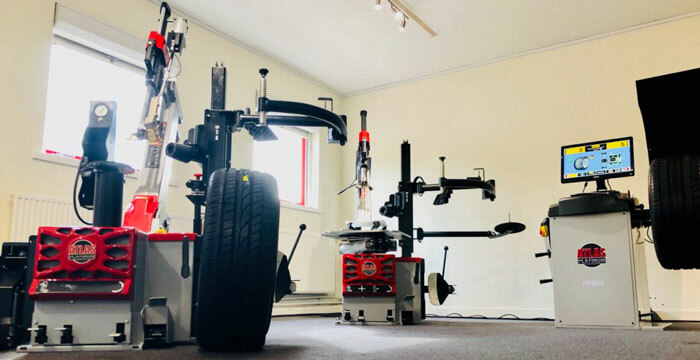 Showroom Models: We have a large fully working demonstration area at our HQ in Redditch, so we are often able to offer an ex demo tyre changer or wheel balancer at a reduced rate that has only been used a few times in this clean and controlled environment. If you are on a tight budget but want as close to new as possible, this may be an ideal solution for you. Tyre Bay Direct Ethos | How can we help you? We pride ourselves on providing full along-term support to all of our customers. It is the companies belief our tyre changing machines will be a worth while investment for any tyre bay, garage or workshop. Unlike many other second hand dealers, we stock a full range of spare parts for all Unite machines, as well as our standard Redback and premium Atlas brand tyre equipment. The team are highly knowledgeable, experienced and technically trained on how to resolve any issues you may have. With Tyre Bay Direct you can rest assured you and your business is in good hands. Our ex demo/ second hand/ used tyre changing equipment sells quickly and stock changes on a regular basis. Be sure to bookmark this page (ctrl + D) and visit often. Contact us to register your interest if you want to be informed first when any second hand tyre machines become available! If you have a second hand tyre changer, used wheel balancer or any second hand tyre machine and want to part exchange it for a brand new model we want to hear from you!